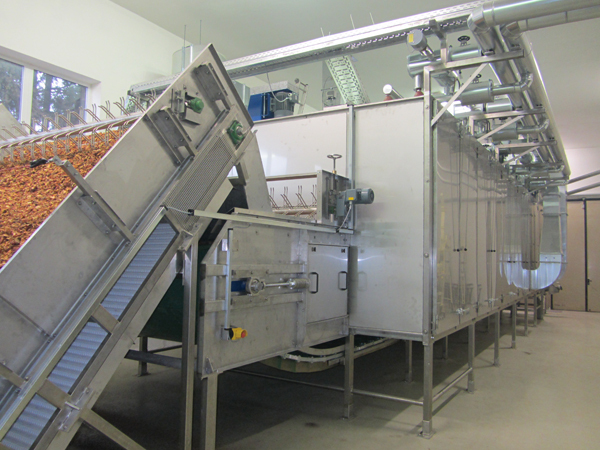 The single-belt dryer is a continuous convection system. The product is transported on a belt through the dryer chamber. The advantages of our single-belt dryer include the ability to control all physical parameters, such as drying temperature, drying time, air speed and air direction to suit the product being dried. Single-belt dryers can be designed as single-stage or multi-stage depending on the process. The single-stage dryer is primarily used for products that can not be redeployed during the drying process.